Designed for the iPhone, the iXpand Mini Flash Drive offers an easy way to free up space on your iPhone, automatically backs up your camera roll, and lets you watch popular-format videos straight from the drives. 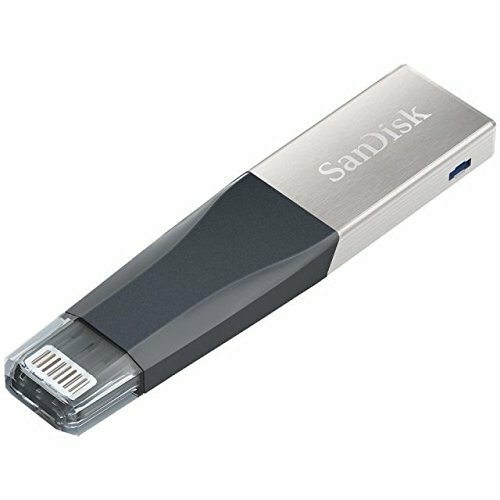 The drive has both a flexible Lightning connector that works with most cases and a USB 3.0 connector to plug into PC or Mac computers so you can easily move content. The iXpand Mini Flash Drive also includes encryption software that lets your password-protect files, so you can share your content while keeping sensitive files secure across your devices'. The iXpand Mini Flash Drive delivers a fast and simple way to free up space on your iPhone so that you're always ready to capture more memories. SanDisk products are constructed to the highest standards and rigorously tested. You can be confident in the outstanding quality, performance and reliability of every SanDisk product.